Item # 309918 Stash Points: 4,995 (?) This is the number of points you get in The Zumiez Stash for purchasing this item. Stash points are redeemable for exclusive rewards only available to Zumiez Stash members. To redeem your points check out the rewards catalog on thestash.zumiez.com. 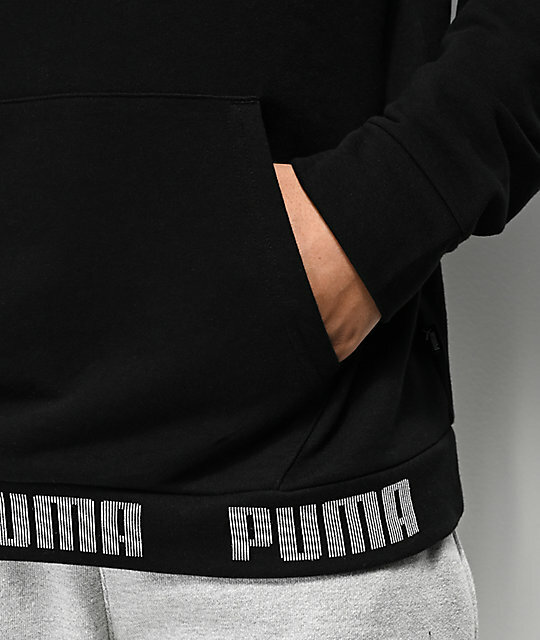 Treat yourself to a bold, athletic look with the PUMA Amplified Black Hoodie. 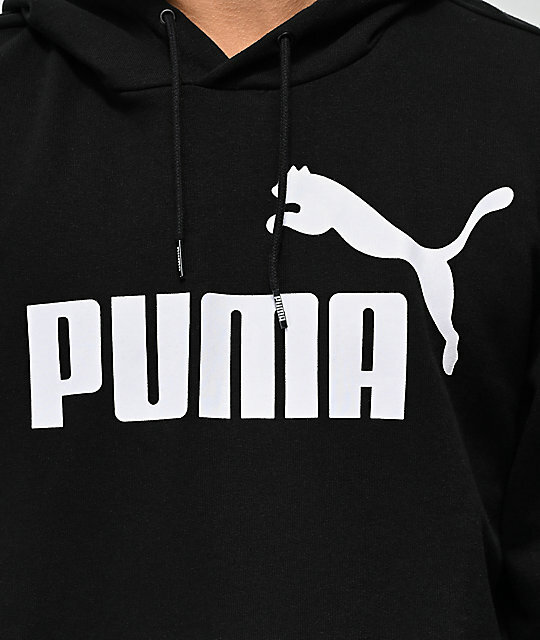 This French terry lined pullover garment features the brand's signature jungle cat and script logo across the chest, while signature brand text reoccurs all along the bottom hem. 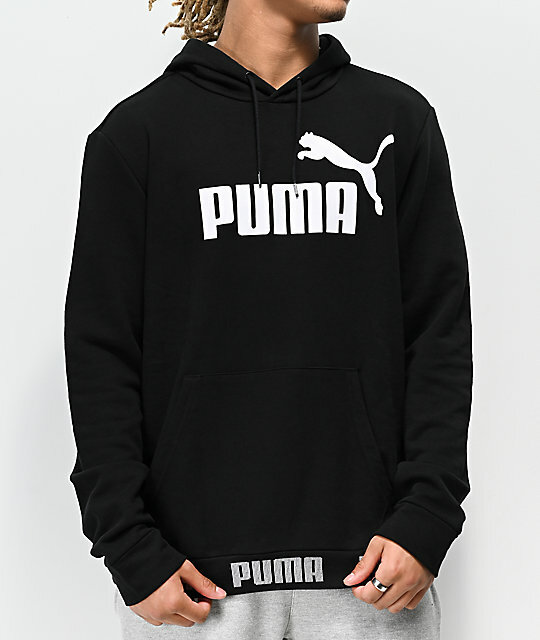 Perfect for layering up during physical activities or simply elevating your streetwear looks, the Amplified Hoodie has got you covered. 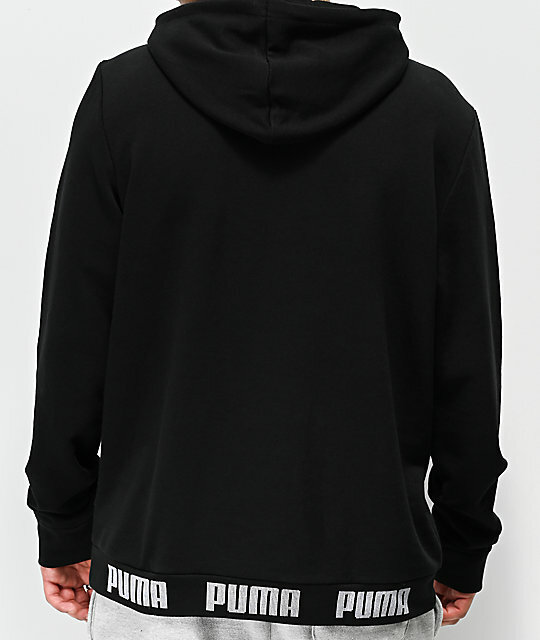 Amplified Black Hoodie from PUMA. Screen-printed logo graphics on chest and script on bottom hem. 29.5" (75cm) from top shoulder seam to bottom hem.